The Napoleon on Kent is close to everything that Sydney has to offer and features numerous guests facilities including business centre, faxing facilities, guest laundry, lift, tour desk, fee pay parking and baby cots available. Napoleon on Kent Sydney Apartments offers a range of guest facilities and services to suit leisure and business corporate travellers alike including security entry, on-site secure undercover car parking, onsite guest laundry, laundry/ dry cleaning service, cot hire, tour desk, lift/elevator, luggage storage, non-smoking property, wheelchair accessibility and vending machines. 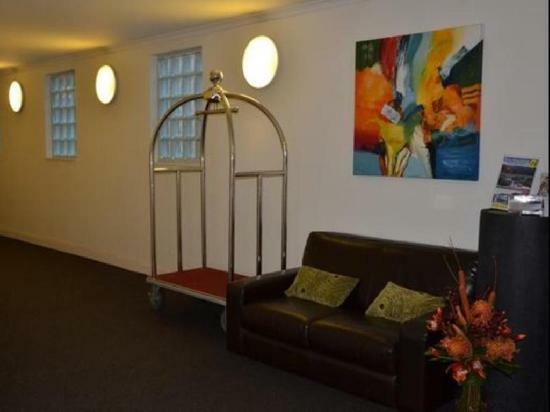 Well suited for the corporate visitors, Napoleon on Kent Sydney Apartments offer excellent business facilities including WI FI internet connection in all guest accommodation apartments, a business centre, faxing facilities and conference/meeting facilities. Nearby Attractions : Easy walking distance to the Opera House, The Rocks Circular Quay, Darling Harbour, the Convention Centre, major stores, theatres, restaurants and tourist attractions. Superbly located in the heart of Sydney, Napoleon on Kent provides convenient access to all the attractions of the Sydney CBD and Darling Harbour, and is within close proximity to all forms of public transport. Take a short stroll to visit The Rocks historic area, or make a day for sightseeing, with the Opera House, Circular Quay, Darling Harbour, major shopping centres, theatres, and a wide range of fine dining options all well within walking distance. 1 Bedroom Queen Apartment : Sleeps up to 4 guests on 1 Queen Bed + 1 Double Sofa Bed Extra.